Our school enjoys an unsurpassed reputation in the community and is the local school of choice. Our comprehensive curriculum and wide variety of subject choices enhance student engagement and attainment. Our dedicated teachers work tirelessly in partnership with students to maximise their learning potential. 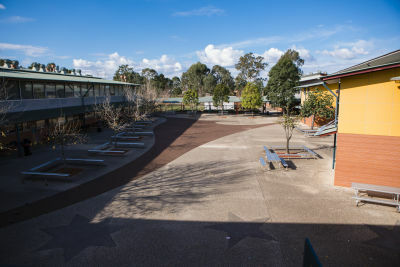 Our school creates opportunities for students in areas including technology, creative and performing arts, sport, debating and student leadership. Our welfare programs support all students and help them develop both as individuals and as students. We ensure that their potential is realised. Our highly developed house system means that school spirit and growth are always at the forefront of learning. The school focuses on quality teaching and learning as its number one priority. Please see our School Plan attached.